It has been nearly two weeks since the first shows for Blade Runner 2049 began screening for general audiences, but despite the time lapse both myself and my co-host on Initial Reaction, Mr. Charles Browder, felt the need to get down our thoughts and conversation in a quick little video review that has now been uploaded to the channel. If you've been following the channel at all you'll know we have no longer been able to film at our regular theater that allowed for us to film inside after screening the films on Thursday nights and having to re-locate, not being allowed certain liberties as well as other factors have very much thrown off the logistics of what was, for a while, a pretty well-oiled machine. Hopefully, one day, we'll get back to a routine where we're able and allowed to have freer reign over our production, but as for now it's kind of a fly by the seat of our pants operation. All of that is to say, both Charles and I really enjoyed Blade Runner 2049 and wanted to discuss it. Unfortunately, it seems not as many people were clamoring for this thirty-five year later sequel as Warner Bros. was probably hoping for given the $150 million production debuted to a mild $31.5 million domestically while internationally, the film met overseas expectations, debuting with an estimated $50.2 million from 63 markets, capturing the #1 spot in 45 of those markets. Currently, the film sits at $64 million domestically and $95 million internationally for a worldwide total of $159.8 million which does mean the film has made back its production budget and still has release dates in both China and Japan next week, 10/27, but the promotion machine for this thing was top of the line and Warner Bros. is no doubt hoping it breaks out in at least one of those markets as it seemed the film was destined to be much bigger than it has come to be. 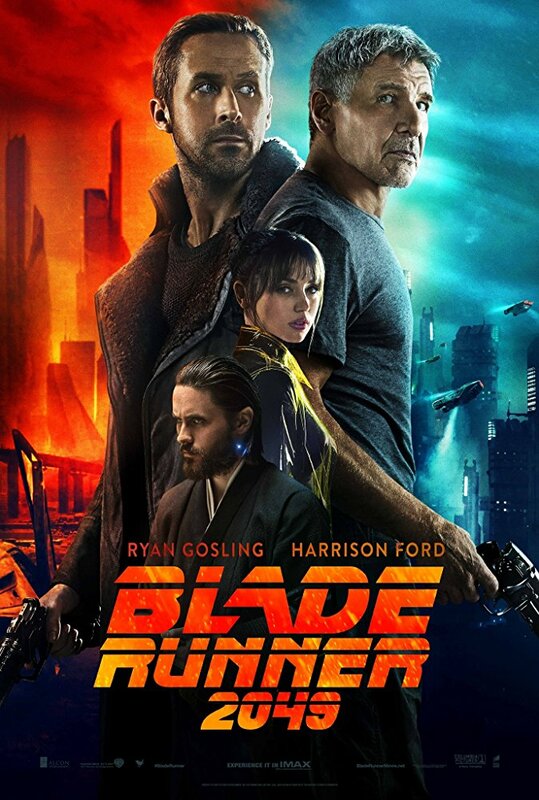 Still, it's hard to dispute the quality of the film and if there was an opportunity to put our two cents in and maybe just encourage even a few people to take a chance on seeing Blade Runner 2049 on the big screen it was worth it and thus our review is now on the channel. As always, be sure to follow the official Initial Reaction YouTube channel as well as on Facebook, Instagram, and Twitter where you can find a new review (or reviews) each week! Read my full Blade Runner 2049 review here.